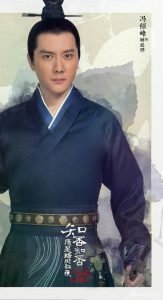 Directed by Zhang Kaizhou (张开宙), period drama The Story of Minglan <知否知否应是绿肥红瘦> has dropped a set of character posters, giving fans a first look into the Song Dynasty drama. 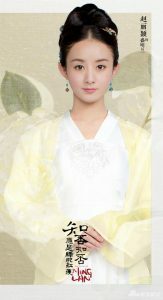 Produced by Hou Hongliang (侯鸿亮), who has produced dramas such as Nirvana in Fire <琅琊榜> and Ode to Joy <欢乐颂>, The Story of Minglan follows the life of an unfavored noble woman who breaks through the ranks to bring her family to glory. Last week, Daylight Entertainment dropped two character portraits of Zanilia Zhao Liying (赵丽颖), who plays the protagonist Sheng Minglan and William Feng Shaofeng (冯绍峰), who plays Minglan’s love interest Gu Yanye. 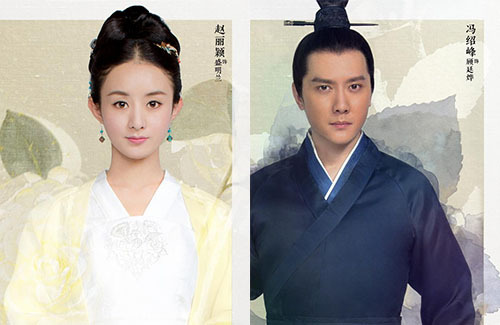 Also starring in the drama are Zhu Yilong (朱一龙) and Kira Shi (施诗). Set in the Song Dynasty of ancient China, The Story of Minglan is an inspirational family story that is also a social commentary on ancient Chinese traditionalism. It follows Minglan, a young woman from a wealthy noble family, who goes from being her family’s least favorite child to being a pivotal member that brings glory to her House. Check out these character posters!